Painted from a viewpoint as if on a boat, the waterway with its emphatic recession draws the spectator straightaway into the heart of this vivid landscape. The sense of immediacy is heightened by the luminosity of the water under a cloudy East Anglian sky, and by its wetness – produced by Wesson’s summary but very descriptive treatment of reflections under either bank. 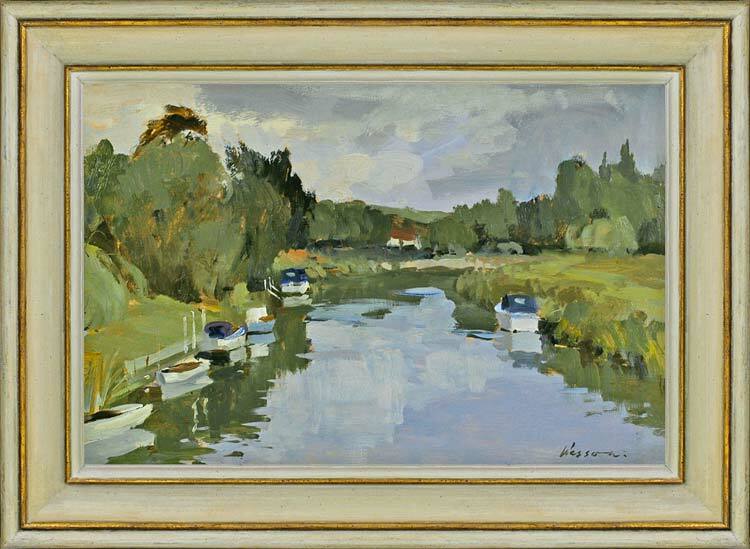 This is a rapid and painterly work which sings with sensuous detail, and accurately depicts the landscape of the Broads.